The new law, which includes recommendations from President U Win Myint, is now in the process of being approved in Parliament, which will resume after Thingyan in April. The updated law was drafted in 2017, after the Ministry of Hotels and Tourism made a request to the Ministry of Home Affairs to allow casinos to operate officially as a service industry for foreigners in selected hotels. These include hotels on islands popular with tourists. A new gambling law allowing casinos to operate was jointly drafted by the Ministry for Union Government Office and the Ministry of Home Affairs. The aim is to boost tourism as well as tax revenues. Currently, Myanmar and Thailand are the only two southeast countries that do not have casinos. "We are left behind as most of our neighbours have casinos. If the casino operators don`t come here, they will go to other countries," said U Aung Hlaing Win, Pyithu Hluttaw MP for Mingaladon constituency. Although casinos are not officially permitted in Myanmar, some already operate in border areas such as Tha Htay Kyun (Boss Island) in Taninthayi, Myawaddy, Wa self-administered zone and Kokant self-administered zone. "We can no longer ignore the illegal casinos operating at the border. We need to legalise casinos in the country and set rules and regulations to make operations systematic. The new industry will also help with tax revenues. We managed to draft the regulations and Hluttaw needs to approve it," said Dr Myat Nyarna Soe, secretary of the Pyidaungsu Hluttaw Joint Bill Committee. Once enforced, casinos will be allowed to operate at hotels in Yangon and Mandalay, opening up opportunities for both local and foreign investors and other businesses. However, only foreigners will be allowed to gamble. Passport identifications will be required as well as tax payments. While Myanmar citizens are allowed to do business and accept employment at the casinos, they will not be permitted to gamble, an offence punishable under the law. Casino owners who allow citizens to gamble will be fined or sentenced and their operations shut down. Local businesses can establish casinos by paying taxes to the government. Collecting taxes for casinos will be included in the Union Tax Law which is written every year. "In the international community, such as in Singapore, the government targets foreigners and receives tax revenues from the casino as well as on each round of gambling. If casinos are permitted in Myanmar as soon as possible, the country`s tax revenue will increase," said Pyithu Hluttaw MP U Aung Hlaing Win. As Myanmar cannot only depend on culture-based and economy-based tourism, some border regions have illegal casinos and if the government passes laws and rules and designates areas at the border at which gambling is permitted, the country will receive more revenue and jobs will be created, said Myanmar Tourism Business Association`s Chair U Thet Lwin Toe. Vietnam has casinos in Ha Long Bay and Hanoi and Myanmar should make similar changes to modernise and support tourism. "But we also need rules and regulations," he said. Tourists from Thailand and China like casinos. Meanwhile, gambling destinations like Macao and Hong Kong have relaxed the visa requirements for tourists. If Myanmar has a similar procedure, border area tourism will increase. "Now, there are illegal casinos at the border areas. Because they are illegal, there is nothing is left for the country and no security either. Crimes can happen. If they are regulated by laws, border tourism will increase," said U Thet Lwin Toe. It is still unclear if the new law is applicable in self-administered areas along the border though. 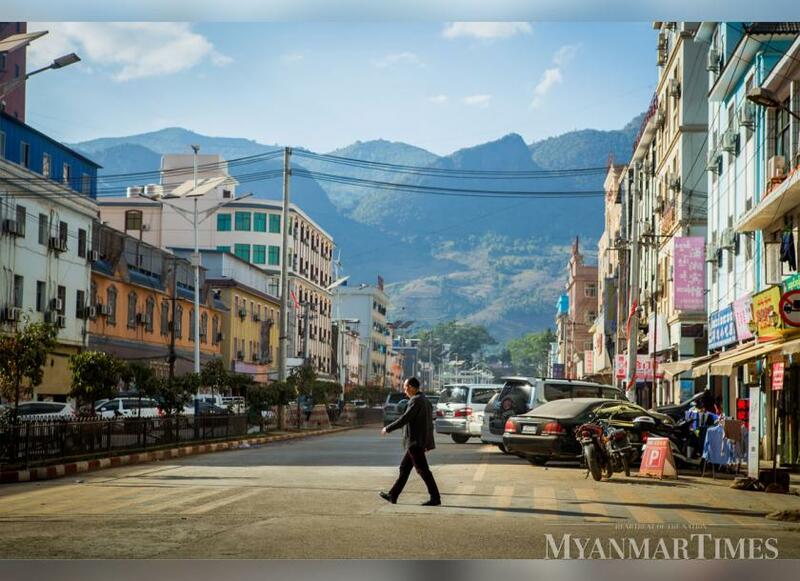 "For example, there are casinos in Kokang self-administered zone. They have no restrictions. I think their government gets taxes to some extent as it is being done after obtaining peace between ethnic armed groups and the leaders. As they are self-administered, union laws cannot apply to them. There are casinos in some areas controlled by ethnic armed groups. They are not permitted by us," U Thet Lwin Toe said. There are some modifications in 2018 gambling law to be compatible with the times and the objective of the law is to allow foreigners to gamble. In the original law, there were no sections covering action to be taken against local people who gamble but that has since been amended, said U Aung Hlaing Win. "Warrants which was previously in the hands of police and judges is now given to ward administration and authorities. Once a tip-off is received, they will have to make a search and gather evidence. If any locals are arrested, it will be followed by punishment. All involved in gambling will be arrested. Provisions are clearer and stricter," he said.